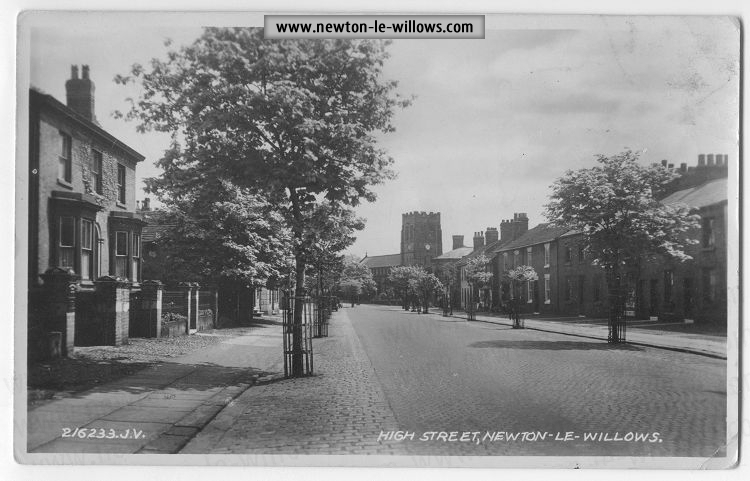 On the April 13th, 1858, a meeting was held in the Assembly-room, High-street, Newton-le-Willows, for the formation of a cricket club, W. Mercer, Esq., in the chair. A sum of upwards of £50 was announced as subscribed in the room. Officers were there-upon appointed, with W. J. Leah, Esq., as patron ; W. Mercer, Esq., president; Dr. J. W. Watkins, secretary ; and George McCorquodale, Esq., treasurer. On May 30th following the opening game was played. The ground was in excellent condition, and there was a good attendance of members. The bowling of Mr. Morray was said to be “very strong and dangerous to the wickets, and the batting of Messrs. Davidson and Birkhead, with a little more practice, will be very effective.” Upon the whole, the playing was good. 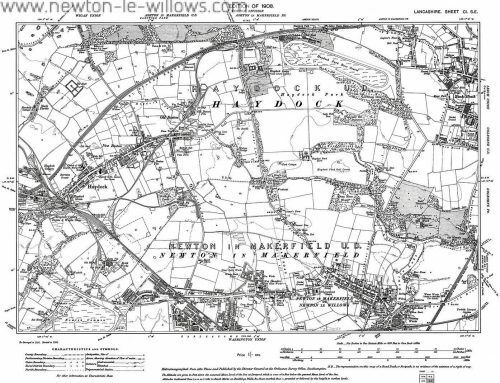 Thus the Newton-le-Willows Cricket Club was started with the gentry of the neighbourhood as patrons and officers and a goodly number of their dependants and workpeople as members ; and we may be sure the game was prosecuted with zest and good-natured rivalry between both masters and men. 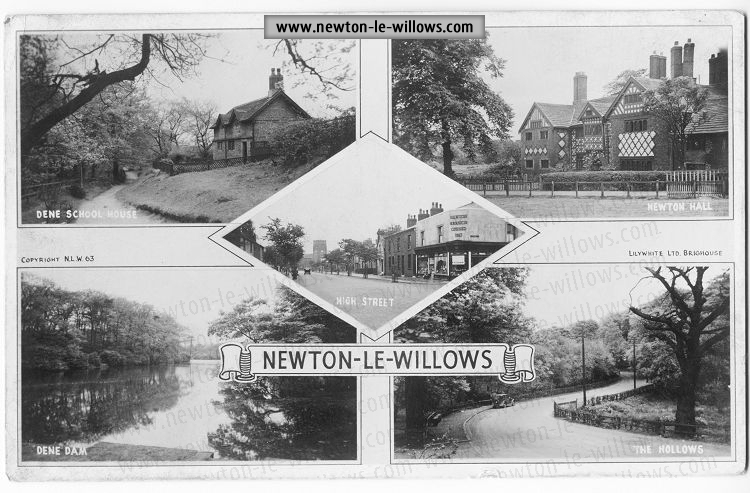 In 1873 the name of the club was altered to “The Newton-le-Willows Cricket and Bowling Club”, a crown bowling-green, 43 yards square, having been added, which was opened on the 19th April of that year. Sir R. T. Gerard, Bart. J. H. Birley, Esq., J.P. 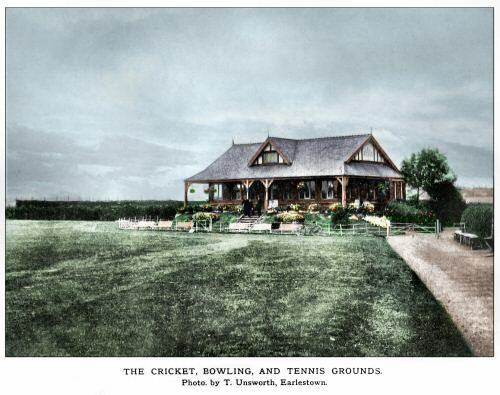 In 1875 a large pavilion, designed by Mr. Richard Brierley, and costing £200, was erected on the site of a smaller struc-ture used by the cricket teams. 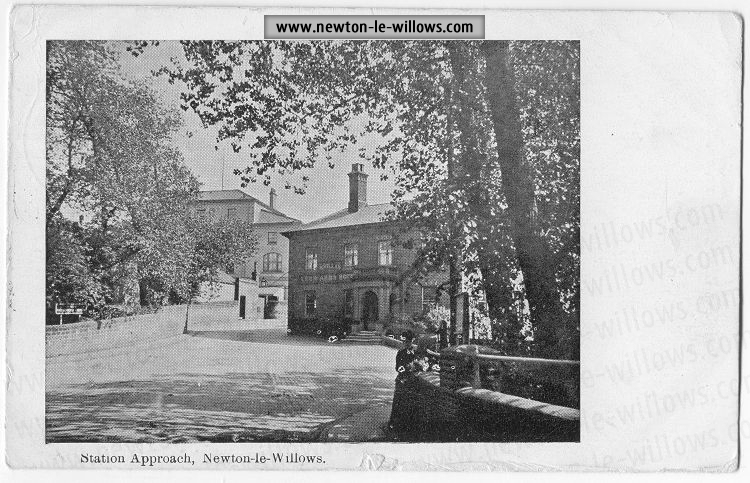 In 1882 the games of lawn tennis and quoits were intro-duced, and the club shortly afterwards altered its title to “The Newton-le-Willows Cricket, Bowling, and Tennis Club.” The quoiting was soon discontinued. 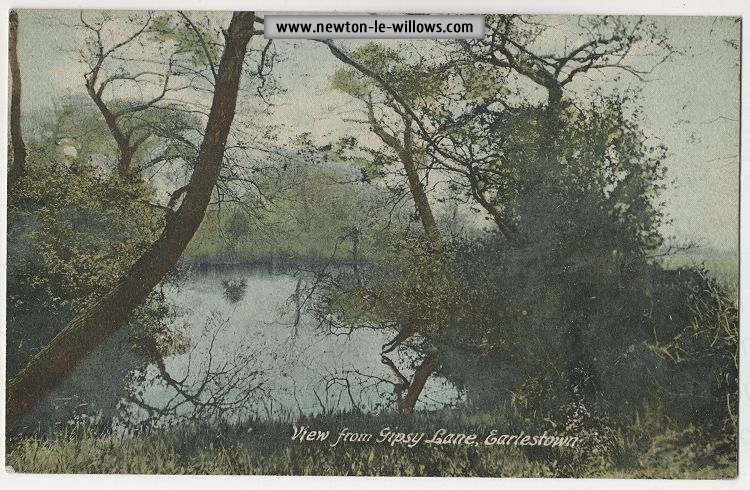 In 1883 trees and shrubs were planted round the bowling-green and along the Crow-lane boundary. 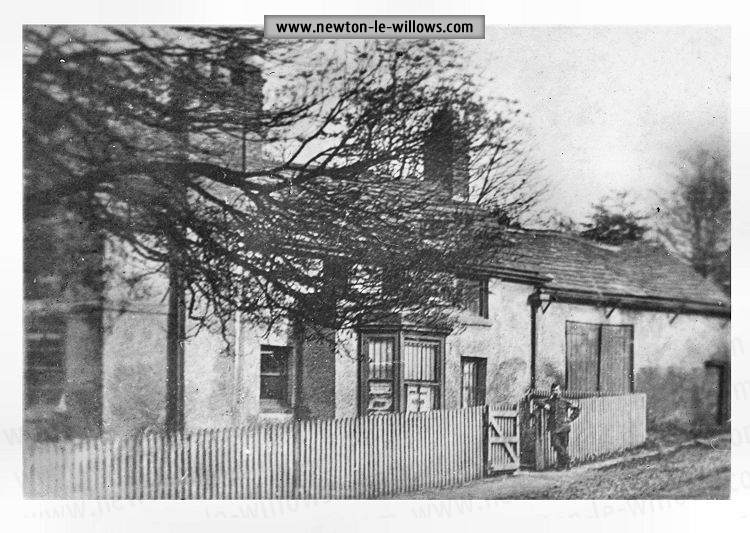 In 1889 the scoring-box was purchased from the Newton–le-Willows Gun Club, and was used as a refreshment-bar until the building of the second pavilion in 1905. 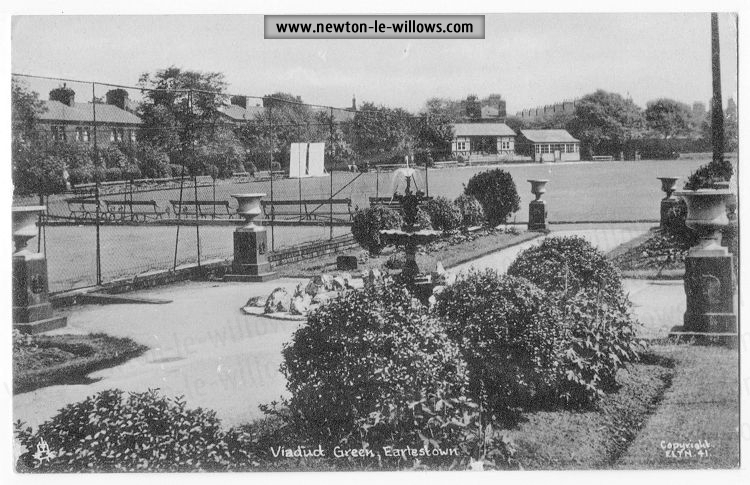 In 1893 an additional bowling-green, 40 yards square, was constructed at the north-west corner of the cricket field. Five years later this was abandoned, and the large flat green, 46 yards by 50 yards, was made on the north of the pavilion, and the present tennis courts were then arranged. 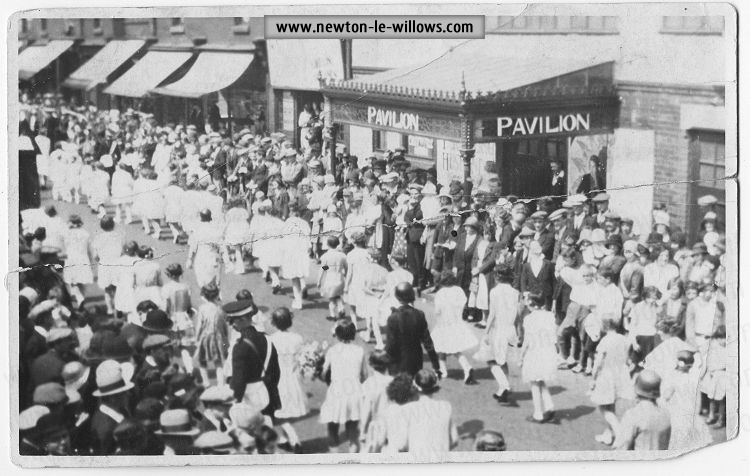 In 1905 the present pavilion, designed by Messrs. Dring and Manchester, was completed at a cost of x560, the builder being Mr. George Finning. 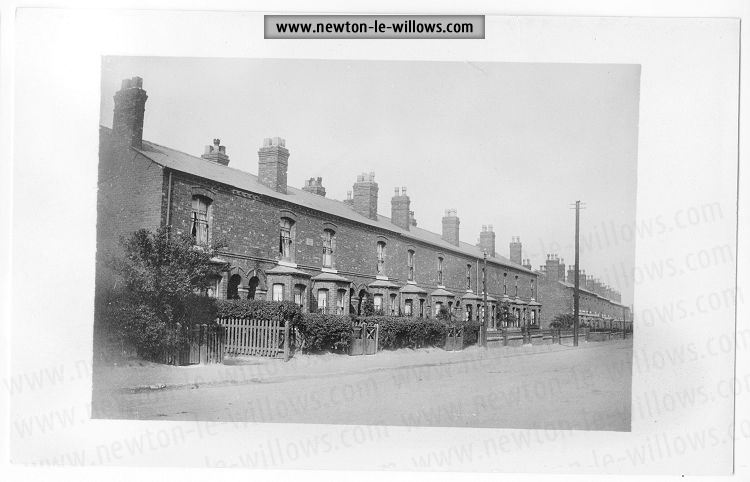 It was opened, on the 15th April of that year, by the president, C. R. Pilkington, Esq., when a match was played between a team of County players captained by Mr. J. T. Tyldesley, and a local team captained by the president, resulting in a win for the County players. 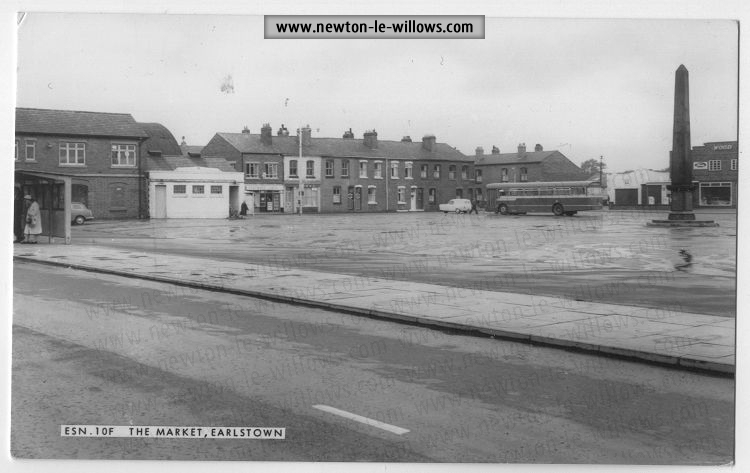 The cost of the pavilion was mainly raised by sub-scriptions and the proceeds of a bazaar held in the Newton Town Hall on May 18th, 19th, and 20th. CRICKET.- The cricketers have always had a good reputa-tion in the county, and have had fixtures with Huyton, St. Helens, Wigan, Manchester, Warrington, Chester, Aigburth, West Derby, Wavertree, Leigh, and clubs nearer home. 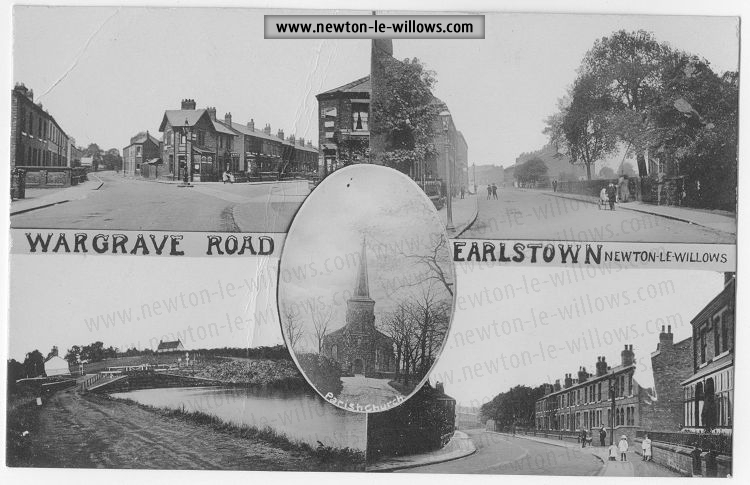 The annual matches with the Earlestown elevens always provoke considerable enthusiasm amongst the teams and their sup-porters. The cup is now in the keeping of the captain of the first eleven, H. E. Daniel, Esq. The return match was played at Cheetham Hill on August 21st, when the majority for Cheetham Hill in the double game was 20, and in the single game was 57. 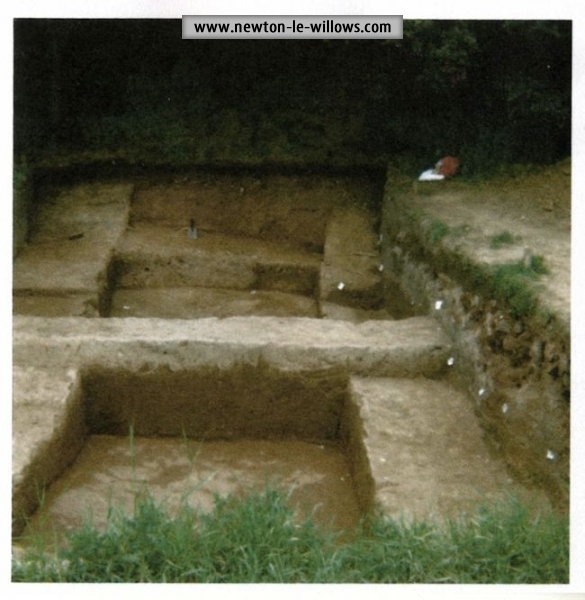 Aggregate majority for Newton, 13. This was the first premier prize taken by Newton in connection with the association. In the course of this contest they distanced Wigan by 54 points, Prescot by 75, and Urmston (Crofts Bank) by 83. 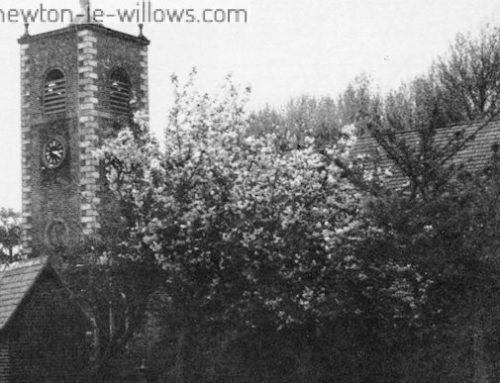 John Williamson also won the Individual Merit Competition in connection with the association in 1891 and 1S93, R. West-well in 1897, and Toni Glover, of Leigh, another member of the club, won the distinction of Amateur Champion of the Lancashire and Cheshire Individual Merit Competition for the years 1905 and 1909. The club was also successful in the years 1908, 1909, and 1912. It is now the senior club in the Lancashire County Amateur Bowling Association, having belonged to it since its inception. 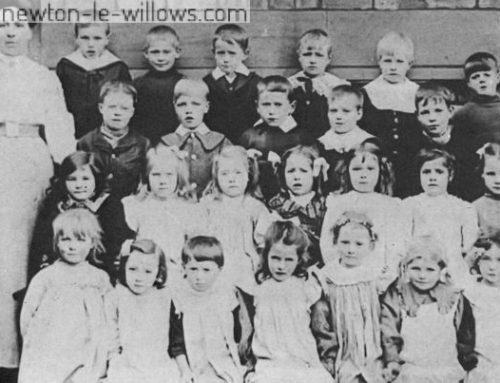 This section of the club has been very popular ever since its commencement in 1882, when Mr. B. B. Glover lent his single net to the members, and the players have been able to hold their own in friendly matches with clubs in the district. The grounds are pleasantly situated and well kept, the greens are surrounded by shrubs and flowers and provided with seats, as are also the slopes of the commodious and elegant pavilion. This whole extensive plot is let to the club, at a merely nominal rent, by the Lord of the Manor, who (in father and son) has been one of the patrons since the forma-tion of the club in 1858. The members now number 380. W. J. Legh, Esq., M. P.
T. W. Legh, Esq., M.P. T. J. Gillespie, Esq., J.P.
A. C. McCorquodale, Esq., J.P.
Sir R. T. Gerard, Bart., died in 1887, having been a patron for some twenty-five years. W. J. Legh, Esq. (afterwards first Baron Newton) died in 1898. He was elected the first patron in 1858. George McCorquodale, Esq. (afterwards Colonel McCorquodale, D.L. 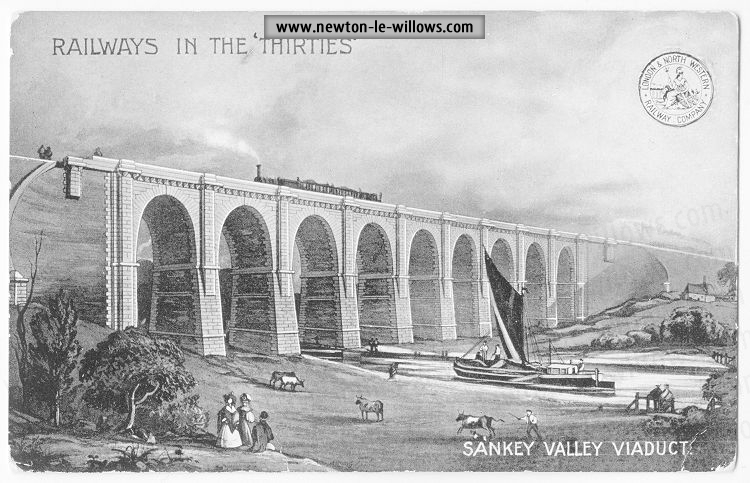 ), died in 1895, having been a patron from 1889. T. J. Gillespie, Esq., died in 1909, having been a patron since 1891 and one of the first members. 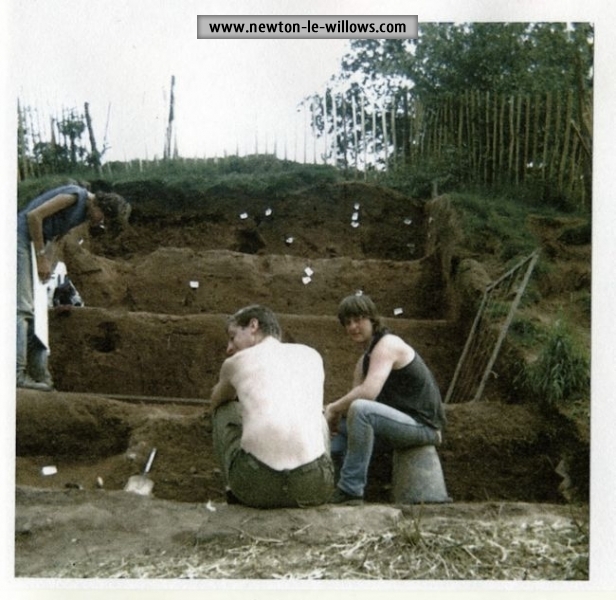 James Smith, Esq., and Colonel Pilkington were patrons for a few years only. Arthur Smith, Esq., B.A., LL.B. W. Mercer, Esq., the first elected president, held the post but a short time, dying in 1864. J. H. Birley, Esq., must have succeeded him in 1858, as on his death in IS81 it was stated that Mr. Birley had been president twenty-three years. He was a kind friend to the club and a fair batsman. James James Fairclough, Esq. (in later years Mayor of Warrington), died in 1907. He was one of the promoters of the club, was the treasurer for many years, and as a cricketer was noted for his big hits. In an exciting match with Old Trafford at Newton, he scored over a century, a feat still admiringly discussed by the older members of the club. Thomas Stone, Esq., died in 1597. He was an enthusiastic sportsman and supporter of all healthful games, and was specially noted as a cricketer. B. B. Glover, Esq., figures rather prominently in the annals of the club, and was conspicuous as a bowler on the old crown green whose sloping sides have been a pitfall to so many of the visiting teams. On his removal to St. Helens in 1890, Mr. Glover was presented with a testimonial, and a complimentary dinner was given in his honour. J. E. Pardey, Esq., died in 1905, having been in the earlier days of the club a lover of the trundling game and a valuable member of the ground committee. Richard Brierley, Esq., died in 1599 after a very long and helpful membership. The club was indebted to him for the designing of the plans of the 1875 pavilion and the superintendence of its erection. T. S. Fairclough, Esq., a clever rhymester who wrote over the pen-name of “Punt o Pegs,” was a good bowler with a dangerous propensity for striking when the jack was too near his opponents woods. T. S. Fairclough, Esq., a clever rhymester who wrote over the pen-name of “Punt o Pegs,” was a good bowler with a dangerous propensity for striking when the jack was too near his opponents woods. He died in 1895. Richard Barton, Esq., died in 1912, and as treasurer for a short period did excellent work.John Simpson, Esq., died in 1906, and as chairman and active member of committees did admirable service. C. H. Bodmer, Esq., who died in 1904, was a member for about a quarter of a century and gave ungrudgingly of his time for the welfare of the club, and as a long-time bowling captain was duly appreciated by the members. W. H. Hindley, Esq., was treasurer of the club for twenty years and has been a member for over forty years. He has excelled as a cricketer and a bowler, has been captain of both cricket and bowling teams, the clubs secretary for a long period, and a member of committees from a very early date. His election to the presidency in 1911 was a fitting recogni-tion of his long and valuable services to the club. Dr. J. W. Watkins died in 1903. He was appointed first secretary in 1858, and was a good scorer to judge from the clubs recorded matches. Mr. John Ball was secretary for a period of thirteen years and was an authority on cricket. On his retirement from the club in 1885, he was presented with a testimonial and a purse of money and an address signed by the principal officers. John died in 1899. Mr. W. D. Burdis, on his departure for Vancouver in 18S9, where he still resides, was presented with a testimonial in recognition of valuable services. Mr. J. 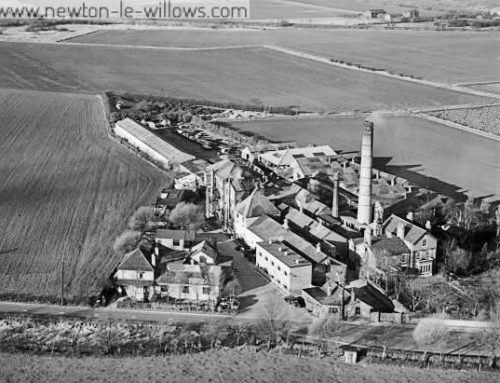 A. Gowenlock died in 189o, having given short but efficient service. Messrs. E. Fairclough, William Grace, and James Singleton have joined the great majority during the last decade, having given unstinted service to the club to which they belonged for so many years. Mr. Singleton was also secretary to the Lancashire and Cheshire County Bowling Association, and on his retirement received a present for efficient services. The rest are still with us performing the several duties allotted to them, and will doubtless receive their need of praise from the future historian of the club. Ferguson Mason (many years dead), the partner of Mr. Gillespie, once bowling captain. 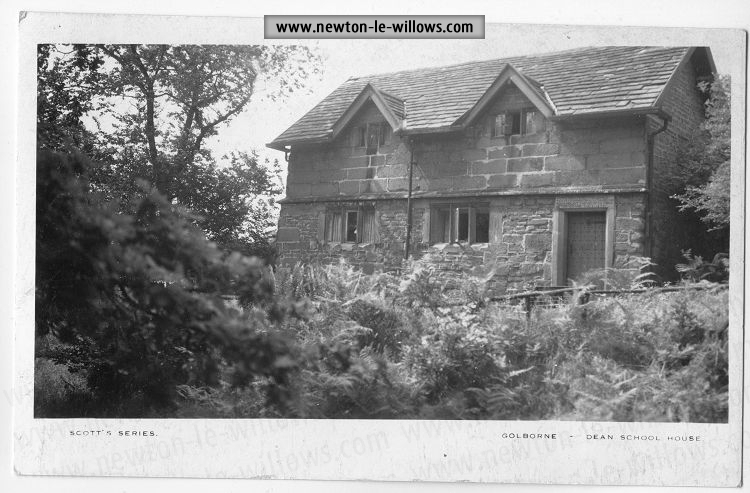 Dr. Howsin, who lived in the large house now called “Woodlegh,” a noted cricketer. F. J. Worsley, a big hitter and scorer. G. S. Wood, a bowler of repute. John Crouchley, an adept at bowls. James Liptrott (who died last year, 1914), an early secretary of the bowling club, a good bowler, and a long-time member of committees. Walter Haskell, captain of the second eleven, who, on leaving St. Peters Schools, was presented by the club with a tea and coffee service. A. W. Tattersall, another schoolmaster and cricket captain. Richard Chandley, also a dominie and an adroit handler of the bat. George Lane, a noted batter and fielder. Toni Cooke, a captain and a big scorer (he and W. H. Hindley had the honour of playing for the Colts of Lancashire versus the County). 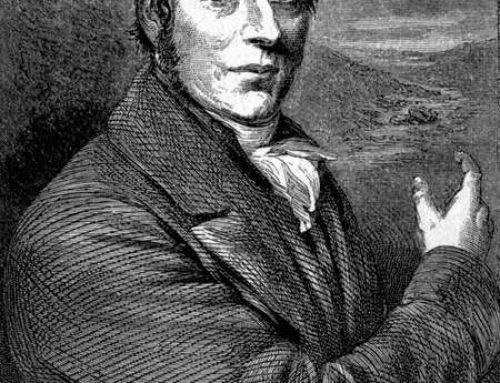 T. Wilkinson, an underhand bowler and all-round cricketer. W. Dudgeon (paper-maker), a captain and reliable player. all captains and bowlers were difficult to beat. 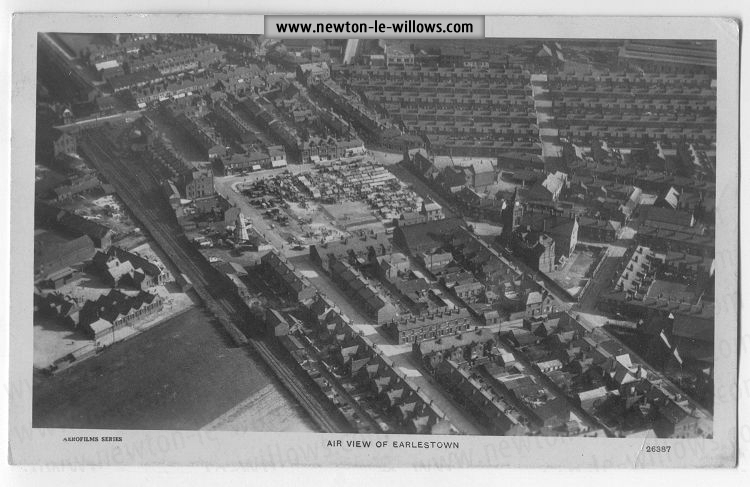 Other reputable bowlers were: George Harrison, James Sankey, Thomas Jackson, Benjamin Corlett, Ralph Smith, John Hunt, the brothers Sweetlove, Thomas Mayor, Peter Percival, Thomas Howard, W. Pairclough, S. Bartlett, R. P. Hindley, William Hall, Richard Bartley, George Lyons, and Thomas Speakman ; whilst lovers of the game were repre-sented by E. T. Evans, Adam Syme, Thomas Thompson, W. Speakman, the writer (a member for twenty-six years), and others of a later date. 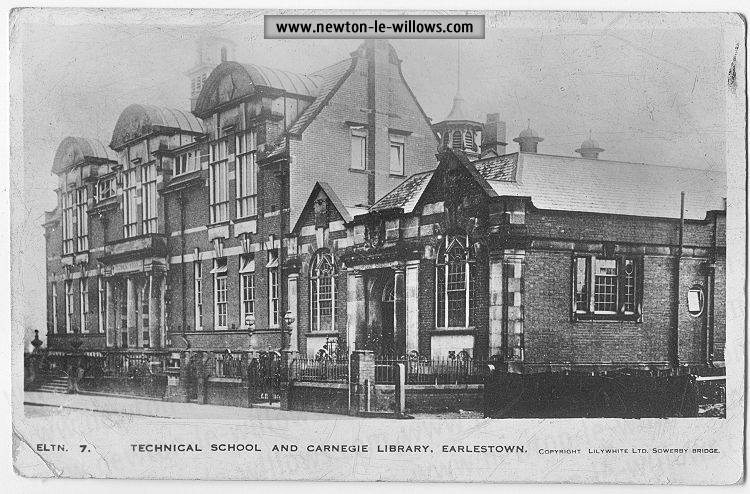 from the 1916 Vol II, History of Newton in Makerfield, by J H Lane.